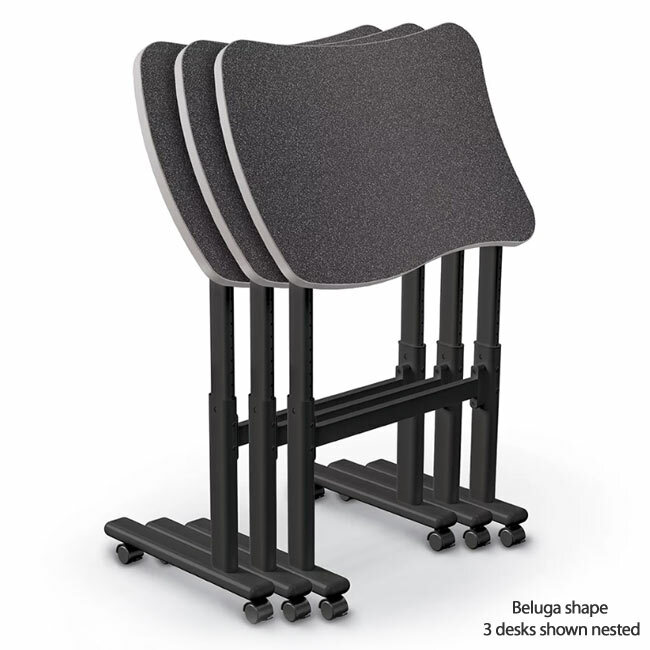 Adjustable Height Flipper Folding Desks have space saving flip tops allowing you to create stadium style classroom layout for optimum viewing. Excellent for collaborative learning, these mobile desks can instantly turn into a group work zone, and back to individual desks again. These lightweight desks have ample space for both taking notes and holding laptops. The adjustable height feature allows use for a range of ages, making them a versatile desks for all ages. Flipping and nesting feature optimizes the storage space when tables are not in use. The mobile flipper desks comes in different shapes for versatility. Casters are included for easy transportation.